Weather has been terrible lately with all this strong winds. March is typical for this windy no wave pattern so if you need fish check the United Fishing Agency (UFA) on Pier 38. This week there are loads of fish of all sorts, shapes, sizes. Wahoo, Ahi, Big Eye, Mahi, Opah you name it they got it all. I was debating to go out this weekend but instead indoors and paid a visit to UFA. 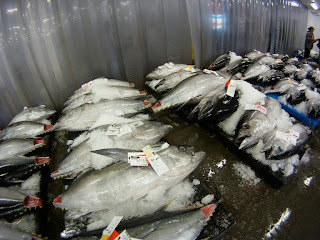 As a diver, I had to browse the tuna section to dream a little of what fish I would like to try and catch next. There were some big boys in the 200 lb range. So I took my dive knife out and shoyu/wasabi and sampled one...nah! They do this so buyers know the quality of the fish. You can see the color, texture, and firmness and decide what fish you want to buy. So I watched the bidders in action, put my bid in, and bought one for this week. Now I got fish for the whole week, breakfast, lunch, and dinner! Winds should be backing down later next week and we expect another good size northwest swell so time to wax up and get barreled! Our HSDTV host Merlinda Garma was in the house signing autographs and as usual drawing a big crowd. I'm amazed how many people told me what a great ambassador and role model she has been for Hawaii Skin Diver TV. Can you believe we have been on air for 8 seasons already! Another role model, Kimi Werner had her crew out in full force presenting her latest fish caps which was a hot seller. I stopped by the seminar room to listen to Cameron Kirkconnel share his stories about his recent world record dogtooth capture and how he managed to land it. Terry Maas was also there promoting his safety vest which is pretty high tech and demonstrated how it works. It was so neat to see our diving community come out and support the event and I want to thank my family for their hard work and all our friends for coming out! The more I watch the news the more depressed I get seeing the devastation of Japan. There color of the cherry blossoms will not be the same. The footage of the earthquake, tsunami and stories has left people with a dreadful images that will never be erased. Click here for video. My favorite store, "Lawson" now with empty shelves in Sendai area, with people waiting for a hot bowl of ramen. I'm still amazed how calm and collected the country has kept itself despite the devastation. I bet if this was anywhere else in the world, looting and chaos would be in the forefront of the news. I'm sure all of you have friends in Japan. I just remember meeting up with Mao, Yumi, and Rikya recently for a surf trip and think of their friends and family. Japanese are the most humble people in our world and to all my friends in Japan we are praying for you and your loved ones! Alii Everyone (Hello)! 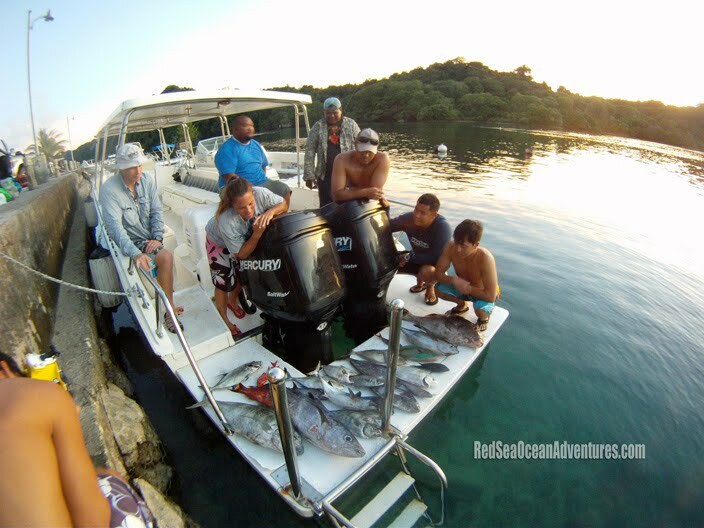 Well our Palau group just returned from an amazing Red Sea Ocean Adventure with many stories to tell. But first our hearts and prayers go out to all those in Japan who were devastated by the earthquake and tsunami. We were actually diving when the tsunami hit and made it back to shore safely just before it was supposed to arrive in Palau. Thank you for all of you who prayed for us and sent emails of your concern. We met up for a week of fun in the sun as Pleasure Island Palau hosted our group from Hawaii and Guam. 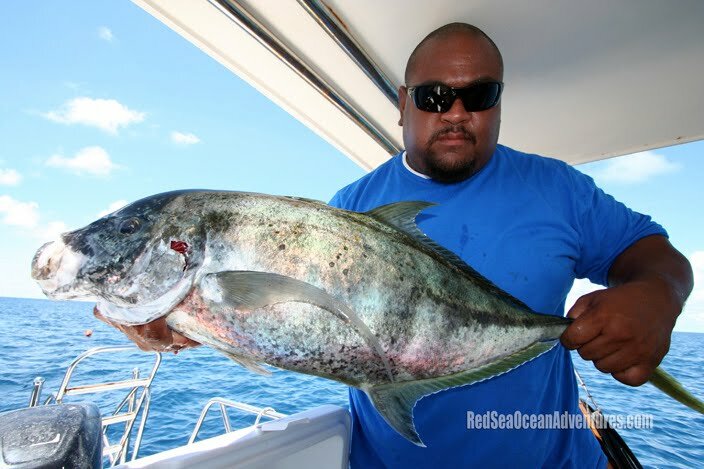 KB Sakuma and his wife Lalii opened their hearts in true pacific island style by sharing their spots and putting us on a variety of fish from groupers, ono, dogtooth, uluas and more. We got to surf uncrowded waves, dive deep drop offs, chew beetle nut and experience the rich Paluan culture. We had excellent boat men like Jr. who watched out for us while we dove as well as while we were on land. This guy is huge! Even the sharks in the water kept their distance from us because we had him on board. We even dove the remarkable "Jellyfish Lake" where our group swam with thousands of jellyfish and toured the rock islands. These Jellyfish are so fragile and here Jennifer and Nicolai were seen playing with a few. There is so much to see and do there but we ran out of time. 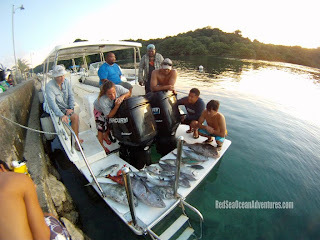 We will definitely be going back to Palau so email me if you want to join us on our next trip out here. A big mahalo for KB and his Crew for hosting us and our group for joining us. Tonight on Hawaii Skin Diver, join Merlinda Garma as she takes you to New Zealand where Hawaii Skin Divers experience the frigid waters off the North Island coast. They live a board the "Reel Passion" charter boat and head 50 miles north to the legendary Three Kings Islands where the Pacific Ocean meets the Tasman Sea. Strong currents and dangerous conditions are met as they target the prized yellowtail, elusive snapper, popular john dory, giant groupers and huge lobsters. Tune into Hawaii Skin Diver Tuesday nights at 8:30 pm. 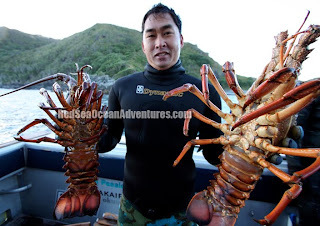 for this awesome New Zealand dive adventure!